1 bathroom with bath and double washbasin and toilet. A pleasant, well-equipped apartment in quiet road close to all amenities; A charming and helpful hostess. "An excellent very spacious apartment in a lovely village with easy access to walks in the Pyrenees. The apartment had everything we needed to have a wonderful vacation and the landlady was extremely helpful in every way, even assisting us to book ahead to other places. We would recommend this very attractive place unreservedly." Appartement très bien situé, pratique et bien agencé. Bien équipé (lave vaisselle). La salle de bain aurait besoin d’un petit rafraîchissement et la porte d’entrée d’être changée pour mieux isoler du bruit. L'appartement est très bien équipé, propre, lumineux, agréable. La déco est en adéquation avec l'environnement. Tout est fait pour que le vacanciers se sente bien. Les propriétaires y contribuent très très largement. Ils sont très accueillant et à l'écoute de leurs locataires. After skiing, you can go for a relaxing retreat at the thermes de César : personalised treatments in the spa. The team will attend to your every need to help you feel revitalised and on top form. The Cauterets hot springs are an inexhaustible source flowing with health benefits. 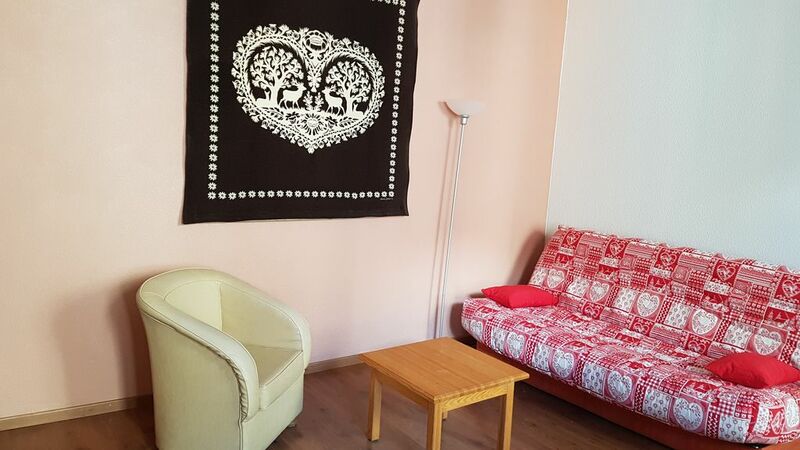 The apartment is in the center of cauterets in a very quiet street near swimming pool, ice rink, tennis, minigolf, street park, casino, cinema, departures for hike.